Sr Malia Tu'ifua smsm was born in Tonga on the 10 September 1924. 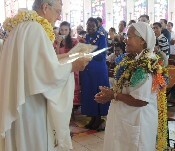 She made first profession on the 28 April 1950 in Ma'ufanga, Tonga. 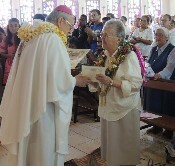 Her final profession was on the 28 April 1956 in Nuku'alofa. For many years she was a teacher. She spent most of her Missionary life working in Tonga. 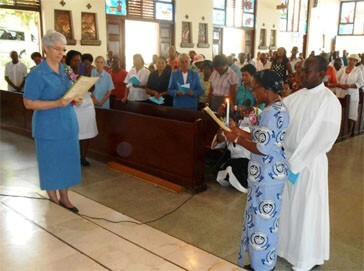 Early in 1980's she was appointed as a member in the "Diocese Village Women Development Works in Tonga. She was a woman who touched many lives not so much by the great works she did but by the quality of her presence with people. She attended a lot of meetings, seminars and workshops overseas representing the Women's Development Works in the Diocese of Tonga. 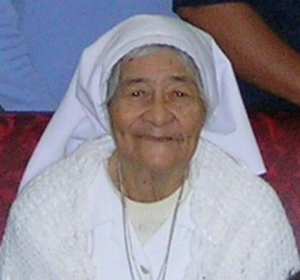 Sr Tu'ifua was a gifted person and she shared her gifts with others especially the poor and needy of Tonga. Her capacity to love and be loved was her qualities that helped her to live her smsm vocation to the full. She reached out to others through her dedication and love. 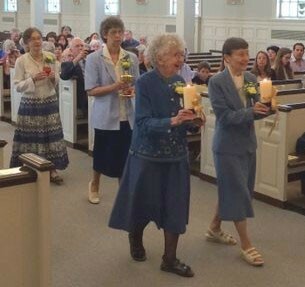 She loved God with all her being and she knew herself loved by God and Mary. 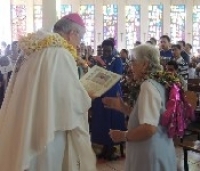 Sr Tu'ifua retired to St Mary's Community in Ma'ufanga in 2003. She got sick and was anointed on Sunday 11 February. 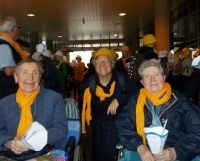 Early on Monday 12 the Sisters gathered around her and renewed her vows and prayed with her before she slipped away quietly and peacefully at 7.00 am on 12 February 2007.